Today, June 30th marks the end of the second quarter for SarahPAC, Governor Palin’s Political Action Committee. It is critical that we contribute to SarahPAC. 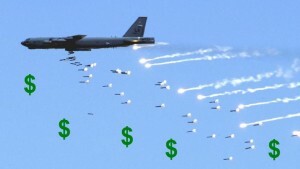 Governor Palin donates generously to Reagan conservative candidates. She also campaigns with these candidates, and has a solid track record of leading them to victory. Your money will help ensure that we take back both houses of Congress on November 2, and lay the foundation for the ouster of Obama in 2012. 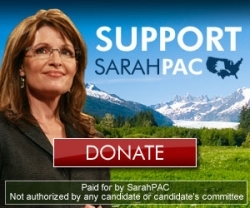 Please visit the official SarahPAC website and contribute whatever you can as often as you can. Your efforts are more important now than ever. Let’s help take our country back. Clicking the graphic below will also take you to the official SarahPAC website. This entry was posted on June 30, 2010 at 6:00 PM	and is filed under Uncategorized. You can follow any responses to this entry through the RSS 2.0 feed. You can leave a response, or trackback from your own site.